We specialize in kitchen and bath remodels, but no matter the size or scope of the project, L Design Studio delivers exactly what it promises, which allows for a painless and stress-free experience! 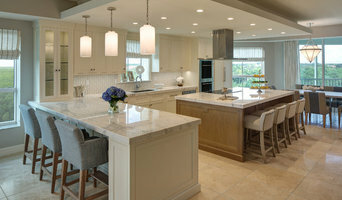 KDL Interior Design is a creative and energetic design firm with extensive experience throughout Florida’s Gulf Coast. 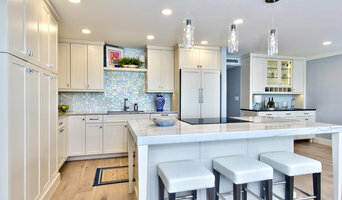 We are eager stewards of client satisfaction, and can effortlessly blend cutting-edge design concepts with time-tested techniques to create beautiful spaces from initial color selection, to final reveal. Kristin Lyons was born and raised in Southwest Florida, and holds a Bachelor of Science in Interior Design. Even as a young girl, Kristin could be found painting and re-designing her bedroom on any given weekend. Her natural artistic talent, love of art, training, and experience of over 18 years as an interior designer, allows her to undertake projects that range from comprehensive interior projects to whole home design and new construction, both in the residential and commercial sector. Kristin has a gift in leading her clients through the intricate design process effortlessly, and has developed a highly skilled and trusted team to make her design concepts leap from sketches into beautiful, functional home designs for her clients. As a KDL client, you will take away from the design experience, a feeling of satisfaction, and an interior that is fresh, timeless, beautiful, and completely you! I believe a home should represent a global luxury, a place that is just as treasured as a weekend getaway. Influences I draw from incorporate a variety of sources, including a SoHo aesthetic, contemporary lines, or old world elegance. I work with my clients to craft a design that reflects their taste, lifestyle, and of course their own unique personality. Phoenix Design and consulting will help with staging occupied and unoccupied homes, interior design, and construction consulting.